and from the Lord Jesus Christ, the Son of the Father, in truth and love"
"I cannot go beyond the word of the Lord my God, to do less or more"
Check again soon for more free resources! A picture of another pre-1980 baptismal certificate (non-trinitarian formulation), sent to me by a fellow Adventist. 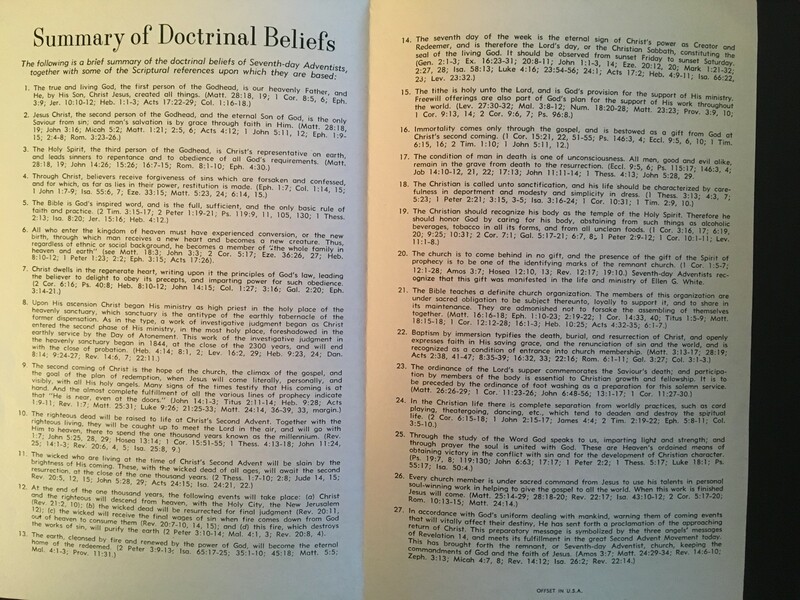 The behind-the-scene discussions on the 1980 fundamental beliefs. Insightful!